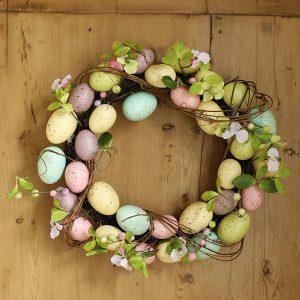 Celebrate spring and easter by creating a wonderful wreath using a range of beautiful blossoming flowers and green foliage. You will choose from a range of seasonal materials to create a wreath to take home. This workshop is ideal if you are a beginner or want to develop your skills further. All flowers and materials are included in the course fee. An introductory course in floristry for commercial work. You will learn the common names of flowers and foliage, how to care for them, and learn through step-by-step demonstrations how to create set design pieces. Designs will include hand-tied bouquets, funeral themed projects and table arrangements. All flowers and materials are included in the course fee. 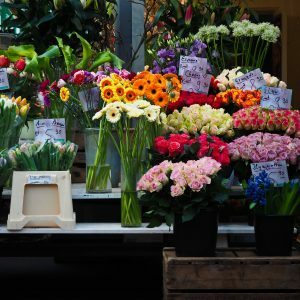 This course will introduce you to the floristry industry, where to buy flowers wholesale, the processes involved in buying direct from a wholesaler and producing arrangements with flowers and resources bought from them. The course will include an initial classroom session (Friday), a visit to the wholesaler on the following week (Friday), and a workshop session on Saturday where you will produce floral arrangements. The cost of resources and travel are not included in the course fee. Contact us for course information sheet to obtain more details. Make Mother’s Day even more special by creating your own personalised bouquet or floral arrangement. Experiment with a range of stunning seasonal flowers and foliage to create something unique and handmade. This workshop is ideal if you are a beginner or want to develop your skills further. All flowers and materials are included in the course fee. This course will prepare you to use your creative skills to explore business and employment options. Learn about starting up a business from home, marketing yourself and your business, and how to keep track of your earnings. Like clothes, flowers also go out of fashion. Learn to create vintage-style arrangements using flowers and containers of a particular era. All flowers and materials are included in the course fee.